The political deadlock in Germany is over after the Social Democrats led by Martin Schulz agreed to open exploratory talks on forming a government with Angela Merkel. The two parties have governed Germany in a coalition for the past four years and after a disastrous losses in September's election the SPD initially said it would go into opposition. 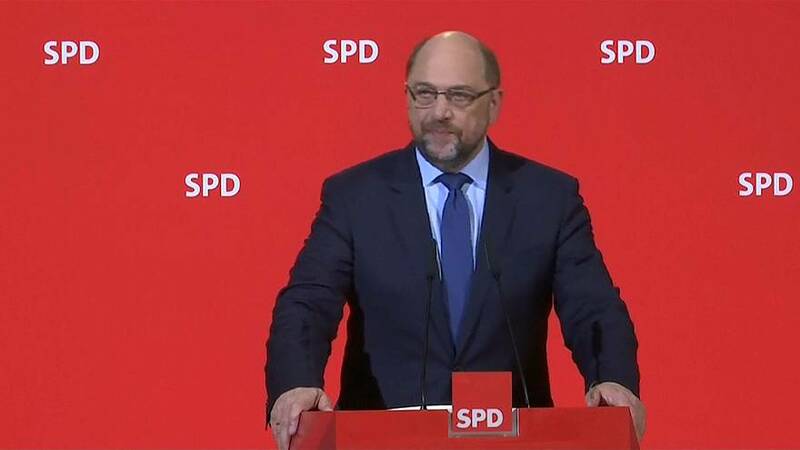 "The preliminary talks are about content (issues) and about what we can realise as social democrats for this country," said SDP party leader Martin Schulz. "There will be no continuing as before, no prolonging the actual big coalition. The Federal Republic of Germany is in many ways that are important for the citizens not a modern country. For Merkel, winning over the SPD is her only realistic chance of securing a fourth term in office without a new election.